Today is a big day. 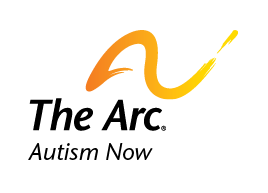 It’s the Autism NOW Center’s second Regional Summit of the summer – this one in Indianapolis, Indiana! We’ll have 200 people attending the summit in Maryland, which will be a two-day event that will include opportunities for networking and relationship-building between stakeholders, families, and people who identify as having an autism spectrum disorder or intellectual and developmental disability; for sharing information and resources related to the area of autism and intellectual and developmental disabilities; and for celebrating the local and regional autism and intellectual and developmental disability community. We’ll post updates at the end of each day right here on autismnow.org. Watch our Facebook page for updates. We’ll post the same questions there that are being posed at the summit, so our online audience can weigh in with thoughts. You can also follow updates on Twitter, by following us and by following the hashtag #AutismNOWSummit. We’ll post photos to our Flickr profile and Facebook page. We’re excited about the knowledge and opportunities that will come out of the summit, and can’t wait to share that with you. Date posted: June 25, 2011. Content created by The Autism NOW Center. Last updated: March 21, 2018. ← Join Us for the Florida Regional Summit!